AWKWARD MOM MOMENT #10003: SNEEZING IS MORE ABOUT CROSSING Y - ProudMummy.com the Web's Community for Mums. 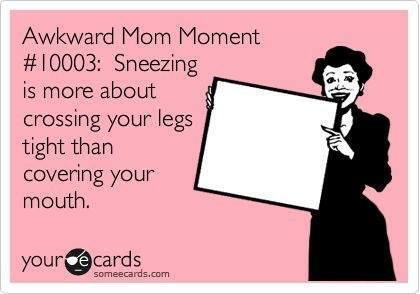 AWKWARD MOM MOMENT #10003: SNEEZING IS MORE ABOUT CROSSING YOUR LEGS TIGHT THAN COVERING YOUR MOUTH. Kim Johnston me & you 🤣🤣🤣🤣??? ?